Anyone want to own a bookstore chain? Barnes & Noble (B&N) might be willing to make you a sweet deal on its 633 retail stores. The ailing bookseller said Wednesday that it's taking one last look at viable alternatives to keep the wolf from the door, including a possible sale of the company. 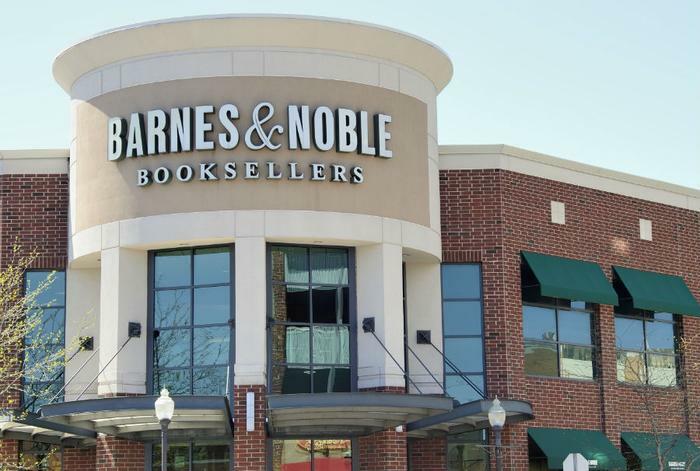 According to CBSNews, one possible buyer is Barnes & Noble’s own founder and chairman, Leonard Riggio, also noting that “multiple parties” had expressed an interest in making a bid for the company. But there’s a silver lining in B&N’s cloud. After its board said it’s open to offers, its stock took a 20+ percent leap! The bookseller also revealed that an unidentified shareholder had precipitately built up a stake in the company. In an attempt to block a hostile takeover, Barnes & Noble's board of directors approved a shareholders rights plan, or what is more commonly referred to as a “poison pill.” Typically, taking that line of defense gives shareholders the right to buy more shares at a discount if one shareholder buys a certain percentage or more of the company's shares. If Barnes & Noble were to pen their own autobiography, it would have a better chance in the “drama” section than the “management and leadership” section in their stores. While B&N’s 1986 acquisition of B. Dalton bookstore chain turned the company into a nationwide retailer and helped set it on a course to become the second-largest online bookseller in the United States, maintaining that position was expensive, and it was never able to outmaneuver Amazon or Amazon’s Kindle with its own e-reader, the Nook. Eventually, the company couldn’t stop the dominoes from falling and saw its revenue take a 32 percent nosedive in a six-year span. Add to that a revolving door that puts the bookseller in the throes of looking for its fifth CEO in as many years. And, not unlike the thorny matters other Fortune 500 companies are trying to come to grips with, Barnes & Noble fired its most recent chief, Demos Parneros, as a reported result of employee claims relating to sexual harassment and bullying. Before Parneros and the company got crossways, there seemed to be a new bit of light at the end of the tunnel. Parneros had cut the company’s losses by scaling back its efforts on Nook and by simplifying operations. But to some industry watchers, that wasn’t enough. Most of the stores "feel tired, are too large and too cluttered, and do not offer the consumer any compelling reason to visit and buy,” said Neil Saunders, managing director of GlobalData Retail. Whether Barnes & Noble finds a savior or not, Saunders sees the company shuttering more stores. "Barnes & Noble needs to slim down in order to survive,” he said. Even though the forecast for selling books, movies, and games online is rosy and set to reach a consumer penetration of nearly 50 percent, don’t let Barnes & Noble’s failure to slay the almighty Amazon put a damper on your dream of owning your own indie bookstore. There are dozens of success stories of how small, local booksellers are making a go of their own bookstore dream -- out of Amazon’s menacing shadow. In fact, the American Booksellers Association goes as far as using the word “thriving” and reports that indie bookseller locations rose 6 percent in 2017, taking the total number of stores close to 2,500. Ryan Raffaelli, an Assistant Professor of Business Administration at the Harvard Business School, found the comeback of the indie bookseller intriguing and decided to find what the backstory of that revival was. Raffaelli uncovered what he calls the “3 C’s” of independent bookselling’s resurgence: community, curation, and convening. Convening: Independent booksellers also started to promote their stores as intellectual centers for convening customers with like-minded interests—offering lectures, book signings, game nights, children’s story times, young adult reading groups, even birthday parties. “In fact, some bookstores now host over 500 events a year that bring people together,” Raffaelli says.